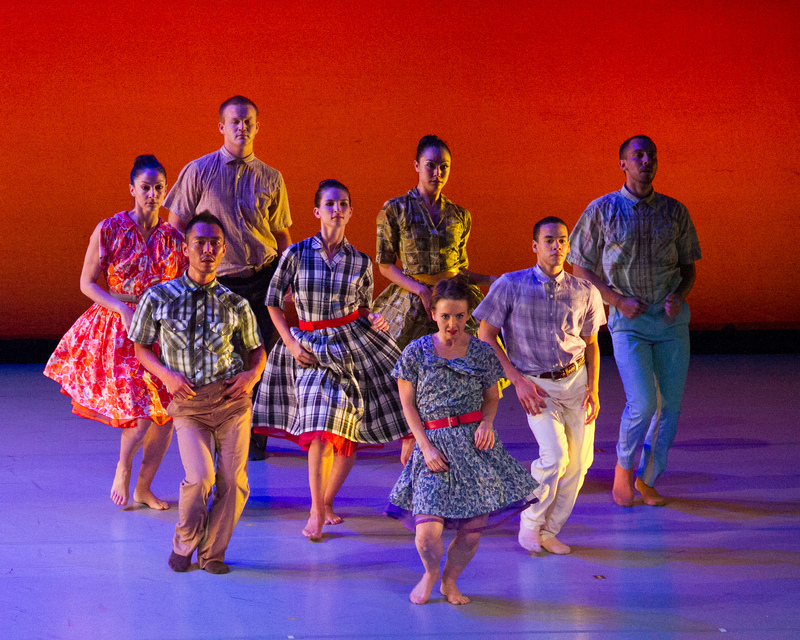 ‘Slump’ premiered in Dallas in June in the Bruce Wood Dance Project’s second season. Now associate choreographer Joshua Peugh is taking it to Seoul – with six of the Dallas dancers. After graduating from SMU in 2006, dancer-choreographer Joshua Peugh went to Seoul, South Korea — where he eventually co-founded the international company, Dark Circles Contemporary Dance. This year, Peugh became the Bruce Wood Dance Project‘s associate choreographer — and that’s how “Slump,” Peugh’s recent debut work with the Dance Project, got to go to Seoul. Peugh originally intended to go there himself — but Wood suggested he take the company, meaning six of the Dallas dancers are going: three current SMU students (Albert Drake, Harry Feril, and Mallory Ketch) and two SMU alums (Jennifer Mabus and Peugh), along with Joy Atkins, director of the Arlington Heights High School Dance Department. Of course, it also helped that Peugh set up a Kickstarter campaign that raised $10,000 for the trip. The company flies out Sept. 21 and performs “Slump” at HanPAC Daehangno Arts Theater on September 26-28. September 7, 2012 — Dallas, Texas. Bruce Wood Dance Project is proud to announce that Associate Choreographer Joshua L. Peugh and his versatile cast of “Slump” will perform at HanPAC Daehangno Arts Theater on September 26-28. Produced by Dark Circles Contemporary Dance, the event is billed as “Two Sides” and features an international cast dancing two Korean premieres. “Slump” had its American premiere at Season 2 of the Bruce Wood Dance Project at the Montgomery Arts Theater at Booker T. Washington High School for the Performing & Visual Arts in the Dallas Arts District in June 2012. Now, “Slump” will have its international premiere in Seoul, South Korea. “Slump” is a wild, aggressive dance about courtship and the instinctual rituals of mating set to Klezmer, jazz, and mambo music. This rare performance opportunity came about due to Peugh’s dual position as co-founder of Dark Circles Contemporary Dance in Seoul, South Korea and associate choreographer of BWDP. In 2006, Peugh went to Seoul upon graduating from Southern Methodist University to perform with Universal Ballet Company. He stayed on as a free-lance modern dance artist and formed Dark Circles Contemporary with colleague Hyun Sang Cho in 2010. DCCD describes itself as a group of international artists working together to create stimulating and sincere dance works. DCCD has performed all over the Korean peninsula as well as in China and Japan, receiving awards for its focus on the emotional response of the audience. In the fall of 2012, Artistic Director Bruce Wood invited Peugh to join the Bruce Wood Dance Project as associate choreographer and performer. 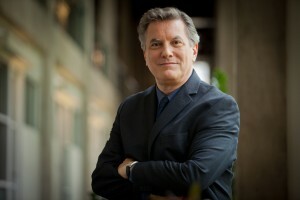 In January 2012, Peugh returned to Dallas, but continued to maintain his affiliation with DCCD in Seoul, thus leading to this phenomenal opportunity. In order to provide the funds necessary for the travel, Peugh put together a “Slump-in-Korea” campaign on Kickstarter.com that successfully raised over $10,000. Over 85 people including Peugh’s friends from his native Las Cruces, New Mexico, BWDP patrons, and dance friends from around the world donated to make it a reality. The funds will cover the cost of airfare and accommodations. Peugh and his cast of six dancers will leave for Seoul on September 21, 2012. Peugh is thrilled to bring his fellow dancers to perform there, and to experience the Korean dance community. The cast includes three current SMU students (Albert Drake, Harry Feril, and Mallory Ketch) and two SMU alumni and dance educators (Jennifer Mabus and Peugh). The cast also includes Director of the Arlington Heights High School Dance Department Joy Atkins, and long time Bruce Wood dancer Kimi Nikaidoh. Rounding out the cast is Korean native Dong Hyoung Kim who danced with BWDP this past season as a guest artist. “It’s important that we also export art and talent from Dallas. Josh is one of the wonderful choreographers committed to enriching the metroplex, and supporting him is supporting our community. All of the pieces in Bruce Wood’s performance at Booker T were splendid and provocative. The choreography of “Slump” and its amalgamated musical score had great wit and a sense of joy I particularly liked. What a great export from Dallas! But come back, everyone! We love you working here!